Sensei Mick Chetcuti has had fifthteen years experience in the Goju Ryu Karate system. He has trained in a number of Goju Ryu Dojo’s under numerous Instructors. Mick has made an effort to specialize in the teaching of adult’s and Children who have no Martial Arts experience and are looking to better themselves through the Martial journey. Goju Ryu Oni Ken karate-do is a non-sporting Dojo, teaching the Goju Ryu style of Karate. We run Adult and Chlidrens classes. Classes run for two hours, concentrating on conditioning and fitness in the first hour and self defence/Goju Ryu Karate in the second hour. All are welcome to try our way of training Karate and get two free lessons. Sensei Mick and Sensei Andy are students of Shihan David Zarb 5th Dan Goju Ryu Karate. Would you like more information on hours, classes and programs available at Goju Ryu Oni Ken karate-do? Please contact the school with your questions. Update the details, Write a Review or Report Error of Goju Ryu Oni Ken karate-do. This Chart shows the Martial Arts Styles offered most in Epping, Australia area. 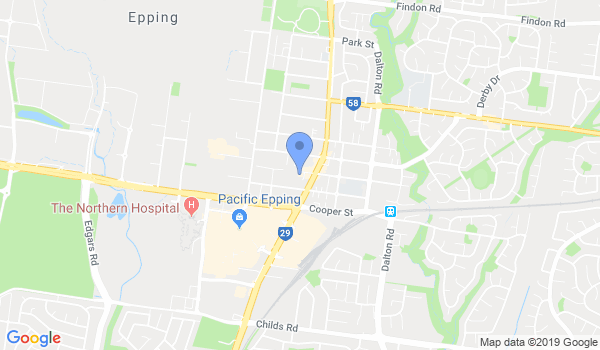 View a list of Dojo in Epping, or enter your address below to find schools closest to you.